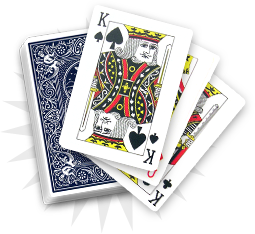 In cartomancy, the two of hearts describes an unclear situation between two individuals, such as a conflict between two friends after a fight. 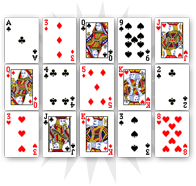 The two of clubs invites the consultant to relax, as it will be the only way to apprehend a conflict. The consultant should put things into perspective and take some distance; things will naturally cool off. In the coming days, you will have to cope with the consequences of a fight with a friend or a family member. This conflict could bring a time of hesitation and latency during which you will manage to find a solution. 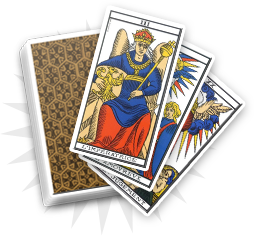 The two of clubs invites you to take advantage of the situation to think about your life. If you feel that you are enduring a form of injustice, do not forget that communication is the key to solving problems. 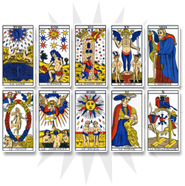 The two of clubs refers to the complex bonds that link you to your entourage. You will experience a fight that will lead to a period full of tensions, during which you will have difficulties to take decisions. The two of clubs evokes trouble created by this situation and invites you to find a solution.